Can I make videos? : Kinda =) and I will try for server. Welcome to the server, lil. I hope you enjoy your time at Ags-Scape! Abyss wrote: Welcome to the server, lil. 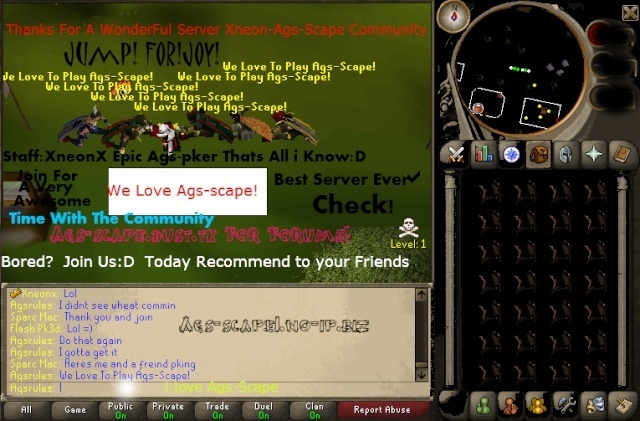 I hope you enjoy your time at Ags-Scape!